Community giveback fundraiser and donation care team on staff. Direct source for products sold; not just another middle man. Longest warranty programs available in the industry. 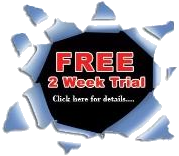 Toll-free 24/7/365 live phone/email support. Nationally owned brick and mortar dealer service network. Fully operational service aided website. Free home delivery with liftgate service with every order! Fully certified Honda, Yamaha, Suzuki, Kawasaki technicians on staff to aide with all tech support needs. 200+ years of technician experience! 150+ years in business management and business development. Largest employee base in the industry for best support. 50 company agents! All sales assistants are certified by background checks and all have a clean background for customer safety with purchases. 1 million liability and 10 million umbrella insurance coverage for all customers. Largest collection of free PDF tech tips for scooters, atv's, dirt bikes, go karts and utility vehicles online courtesy for all customers. Corny a it sounds, yet true.... Many try to imitate but will never duplicate. Our families ride what we sell, believe in what we own and you should too! Family felt environment together bringing amazing products to the nation, one customer at a time! NOTE: If you have recently filed a request via the form fields below and have not received the response you needed please use the ticket system below and submit a customer service ticket. Your ticket will be tracked and a tracking ticket number will be issued to ensure quick service. You can open multiple tickets for different needs by creating an account. Our mission to bring back the days when family motorsports was fun and affordable. People these days find themselves purchasing just one Gas Scooters, Mopeds, ATVs or dirt bike for the whole family, instead of buying one for each family member. Countyimports.com has actually changed that! After all, riding motorsports with your family is a lot more fun than just watching them ride. Why pay someone else TWICE as much for the same products we have? After all, it's not just making your motorsports purchase; It's ensuring someone is there to assist after the sale as well to offer ATV Parts and service. Our products are designed to fit you as an individual. Now our prices are better but as you can see even Costco wants in on this great business we have to offer! With Go Karts, Dirt Bikes, Gas Mopeds and Children's, Youth and Adult ATV's with varying seat heights and engine sizes that range from 50cc to 1000cc. We have exactly what you're looking for! Read our competitors pricing and what you really get for their price. Are they a real company? Are they a factory authorized distribution company who actually stocks inventory they sell, do they actually own a brick an mortar shop as well? Who else offers such a well built fully automated website to handle your service needs? Countyimports.com! Take a look around you will like what you see. From top to bottom, we aim to find the best product and top quality engines anywhere. Take a look at the Mfg. warehouse website and see for yourself. Assembly is easy as - 1. 2. Weeeeeee! Our product is packaged carefully to ship to you in carefully in strong packaged crates to ensure new and unused condition. Depending on the unit you desire; We mark each unit we sell with how much assembly is needed. Look for this in each item description page. Anyone with some basic skills can complete what is needed to save literally $1000's on their purchase. Some units may need minor assembly i.e. front tire, mirrors and battery etc. Although some of our machines do need some assembly, you will find an amazing large portion of our scooters inventory comes to your door fully assembled! This means a factory technician has done all the work for you, and our prices are still better. Not many other retailers offer a warranty for 1 year on powertrain when you have a local certified mechanic provide the PDI. We guarantee we have the best products that can be reached in this large market and proudly bring them to you under the love we have for this business. We are the Veterans in this business! 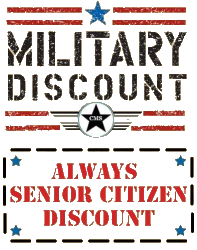 Countyimports.com is the a Powerhouse Veteran owned business. We have rightfully earned our solid reputation for quite a few years now and by joining our team you are making the best choice for your motorsports investment. We are well known by all competitors and many try to copy techniques that were created by us. We know this business and respect the customers needs and have listened over the years. We began directly from the background we represent and are part of the evolution of bringing quality affordable motorsports to the USA. 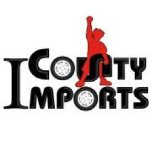 Everything Countyimports.com provides to it's customers is first hand and not indirect support from another company. This means your needs are the direct understanding and priority of ours. We have over 60 individuals who are with this company. Some 24 hours a day on standby to care for your motorsports needs. You will notice other companies try to imitate our processes. They try, but cannot come close to providing the support we do especially considering our extremely large customer database we have rightfully earned. Every dollar spent with our company is treated by management as an investment. This is important for our customers to understand. We work every day to continue our promise for growth and good fortune and treat our customers as we expect to be treated. This is why we provide the first in history and only live 24/7/365 live phone support.This with many other secret services we naturally cannot mention, only a true customer can appreciate. Our secret is used to carry our business to the top tier time and time again and is why every motorsports mfg has asked us to represent their lines. Because of this we have hand selected specific units to bring to the table, these machines are exactly what you have been looking for. These machines must provide a standard set by our customers and staff, longest warranty, exclusive design, cost efficiency and overall durability. Because of this there is no other reason but to make your motorsports purchase with our team. Welcome to the family and thank you for your business. We know we deserve it, and thank you for it!